The city of Nashville honored Dottie Rambo with a STAR on the Nashville Walk Of Fame on Sunday, November 6. The STAR will be a permanent display alongside past honorees such as Little Richard, Reba McEntire, Kid Rock, and Dolly Parton. This homage to Dottie by Nashville reaffirms to me why I think it's the greatest city on Earth and proud to call it home. 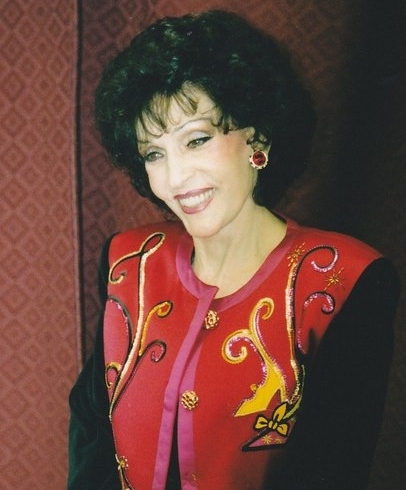 Dottie Rambo wrote her first song at the age of 8 and was singing on local radio by the age of 10. By the time she was 12, Dottie would leave her home in Morganfield, KY, board a Greyhound Bus and enter the journey which would later carry her to legendary status. Little did she know that she would become a Grammy Winning recording soloist and a songwriter of over 2,500 songs. I had the honor of serving as Dottie's manager, friend, and adopted son in the later years of her life and career. We would spend nearly every day together for the years of our collaboration until a tragic tour bus crash killed Dottie on May 11, 2008. Her impact on my heart, my life, and soul will never be forgotten. Her music will live on for centuries and she will forever be the Queen of Gospel Music. On a special note: I also would like to share how thankful I am to David McCormick, owner of the Ernest Tubb Record Shop for making the arrangements for Dottie's Rambo's place on the Nashville Walk Of Fame. He is a treasured friend to me, and his love for Dottie was beyond measure. Others honored with STARS on November 6 were Alan Jackson, Kix Brooks, Dan Miller, Manuel, and Dr. Bobby Jones. All deserving.